Xbox Game Pass has been killing it recently as it does it's best to make up for Microsoft's lack of quality first-party exclusives on the Xbox platform. The latest round of new games added to Xbox Game Pass sees one of the biggest additions yet - Just Cause 4. Just Cause 4 is Avalanche Studios latest entry into the Just Cause series which released on December 4th which is less than a 100 days ago. The open world sandbox adventure game kind of bombed on release but it's still surprising seeing it on Xbox Game Pass this soon. Just Cause 4's sales struggles were clear from the physical sales numbers coming out of the UK. 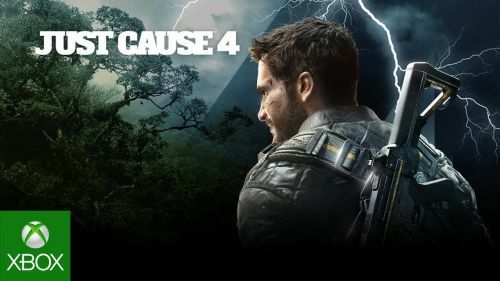 In the week of release, Just Cause 4 entered the top 10 UK sales list at just #6, selling 61.5 percent less physical copies than it's predecessor Just Cause 3 (which is also on Game Pass and was added before JC4's release). Even though digital sales have gone up in recent years, the 61.5% difference in sales is way too big to account for that and sales definitely did not live up to expectations. Another game added to Game Pass along with Just Cause 4 was 2012's Lego Batman 2 which are both available for download now. Two more huge games coming to Xbox Game Pass this month are Fallout 4 and the excellent F1 2018 which will be available as of March 14th. Game Pass is on a roll and the service is the best value for money subscription in gaming right now. However, this still isn't a good look for JC4 and the Just Cause series. With sales for the 4th installment so low, I wouldn't be surprised if the series is put on the ice and it wouldn't be incomprehensible if it turns out to be the last Just Cause game.